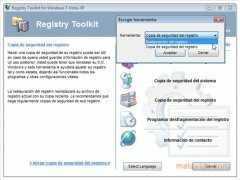 One of the essential elements of your operating system is the Windows registry file. 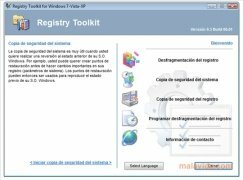 And as you use it, install and uninstall programs and perform continuous changes on the system, this registry grows excessively and it loses its structure, preventing the correct access to your data and causing the computer to behave slowly. The solution is called Registry Defragmentation. 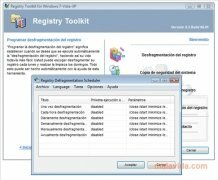 This tool will take care of precisely that, defragging the Windows registry file, an operation that will return the structure to the registry to accomplish an optimum behavior of the system. 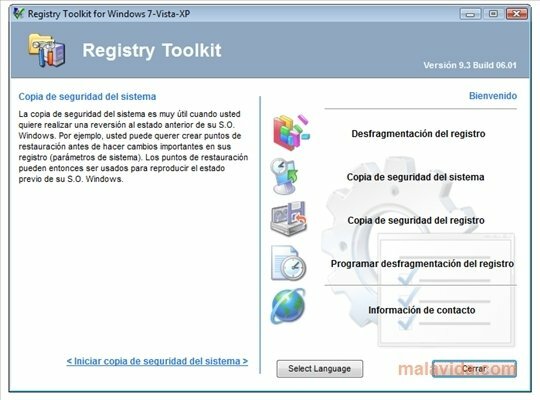 Registry Toolkit for Windows 7-Vista-XP, as its interface says, also has some additional options that are really interesting and that provide it with greater versatility. 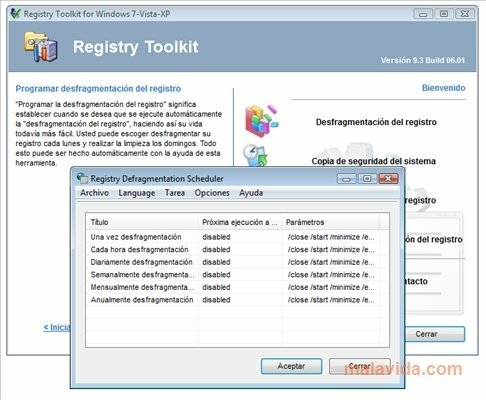 Physically defragments the Windows registry. Provides a linear structure to the registry. Eliminate unused entries from the Windows registry. Carry out backups of the system to restore the previous parameters in case there are any problems. 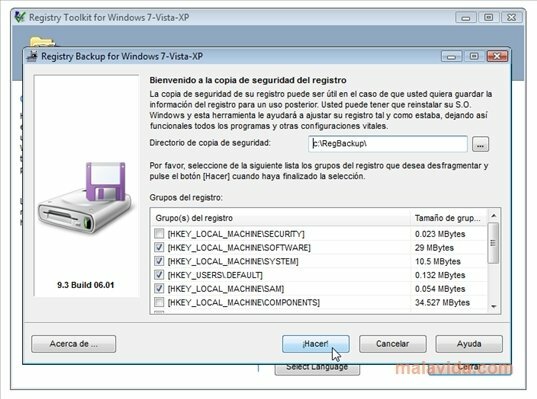 Create backups of the registry. 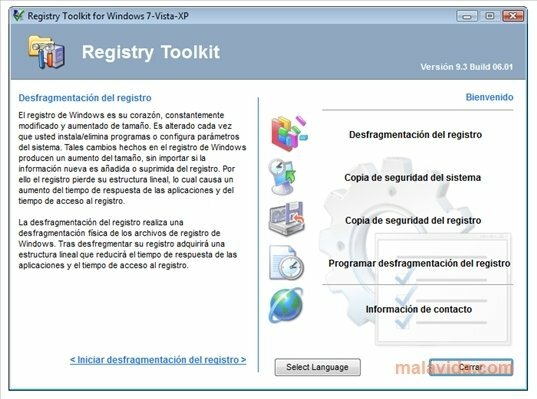 Download Registry Defragmentation and fix the malfunctioning of your computer. 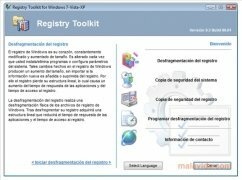 Defragging the Windows registry file is an effective method for your computer to work properly once again. The trial version can be used for 21 days.